Our Henfold Lakes Paintball site offers Paintball, for Adults, Teenagers and Childrens in Dorking. 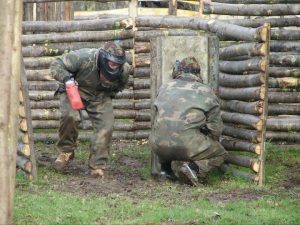 Easy to reach from from Redhill, Guildford, Leatherhead and most of Surrey, Dorking Paintball is great for a day out playing paintball. Offering a number of exciting paintball games across 7 amazing paintball zones. Experience Stealth, Attack & Defend, Speedball and Barrell games. All of which have been set up to make every game you play fun packed and get the adrenaline pumping. We offer Paintball for adults and teenagers and Kids Paintball parties for younger children under 11yrs. Stag parties, hen parties and birthday parties from 8 yrs. All are welcome so if you’re planning an event give us a call. We have a straight forward, honest pricing structure which offer you the best value paintball experience in Dorking. Adult paintball is available to any players aged 11+ and in year 7 at school. A great game for teenagers and adults alike. It’s ideal for birthdays, stag dos, hen parties and any occasion. Call us on the numbers at the top of this page and we can check availability for you. You can then book online or over the phone. 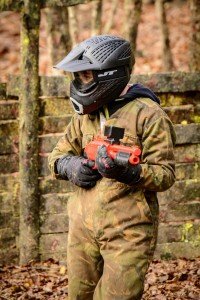 Our Dorking site also offers kids paintball parties for ages 8-11yrs. Across a 2 hour session they’ll play 8 exciting games in our woodland mapped zones zones. This is a safer lower impact paintball that has been specifically designed to give them a feel for all the action, whilst slowing the game to a manageable safe speed. For more info on kids paintball in Dorking click here. Dorking Paintball is open most weekends so get in touch to book your place. We can even open for larger groups and corporate paintball days during the week upon request.